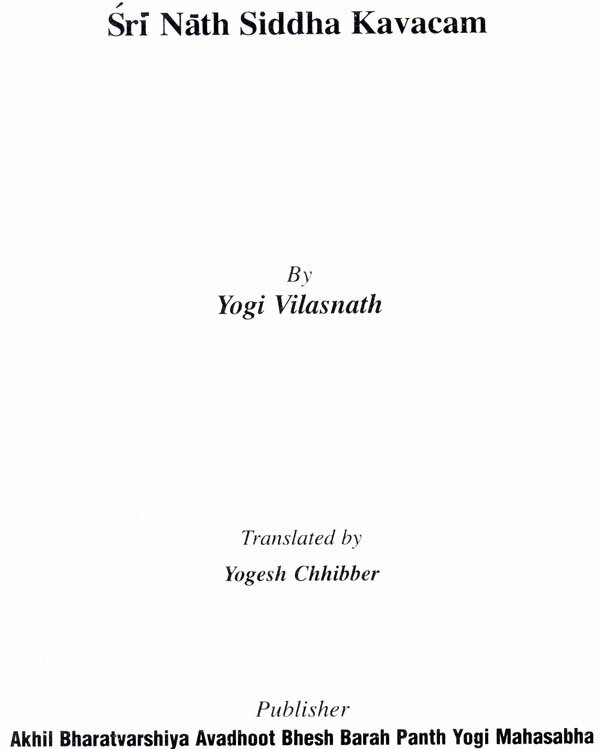 Mahayogi Guru Goraksanathji has enabled me to present this book to the devotees. I feel great happiness for being chosen as a medium by Sambhujati Goraksanath to acquaint the sadhakas with the Kavacam and Suktam and Rahasyam presented in this book. 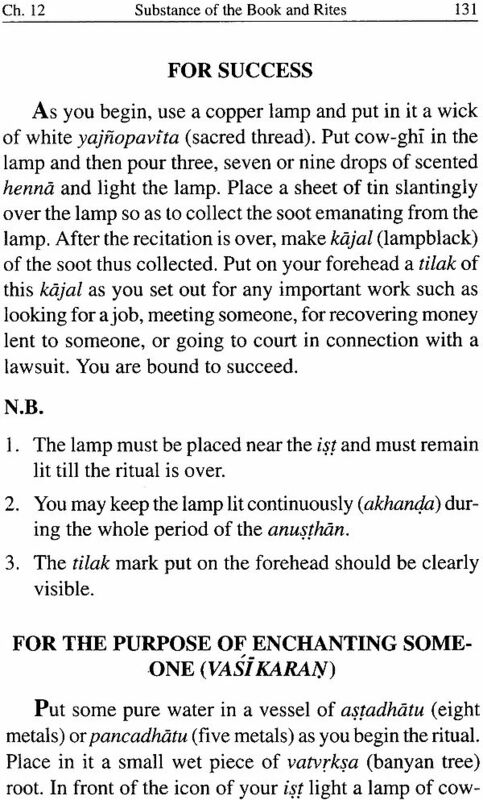 Mantrik and tantrik (esoteric) practices have a very significant place in the nath yogi cult. Such practices lead to the attainment of the Supreme by transforming the gross existence into the most subtle existence. This, indeed, is the object of human life. 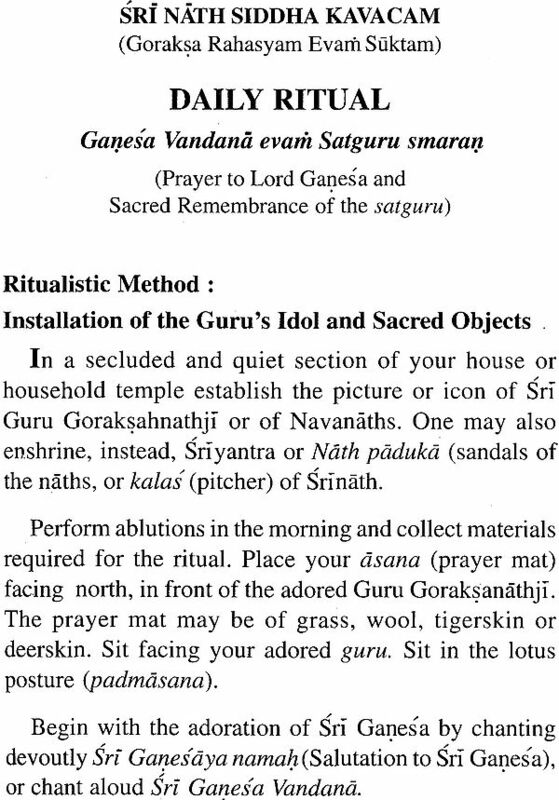 This book contains description of the methods to be adopted for conducting rituals - saguna as well as nirguna. The chanting of the Kavacam, Rahasyam and Suktam in the prescribed manner will surely bring about the fulfilment of the wishes. Those who engage in it with nirgunabhav, that is, without aiming at the fulfilment of any wish, will surely have darsan of the naths and siddhas. Their grace will liberate them from such weaknesses and vices as lust, anger, greed and pride. They will enjoy Supreme Bliss. 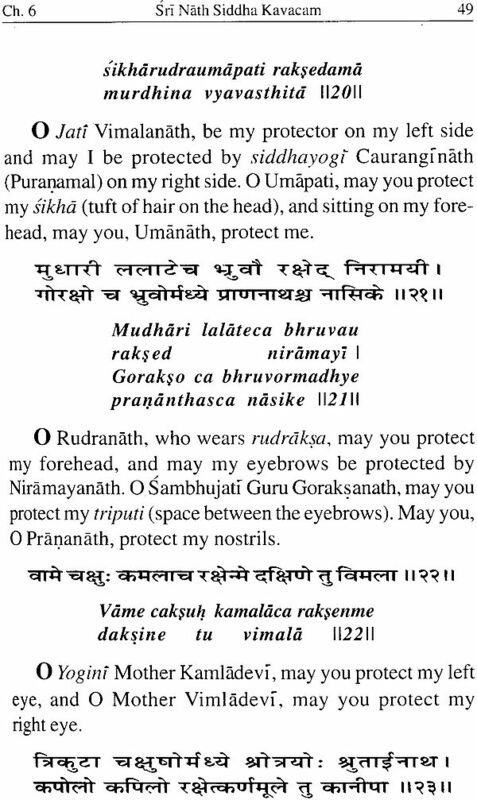 The Nitya vidhi will protect sadhana and gurubhakti. 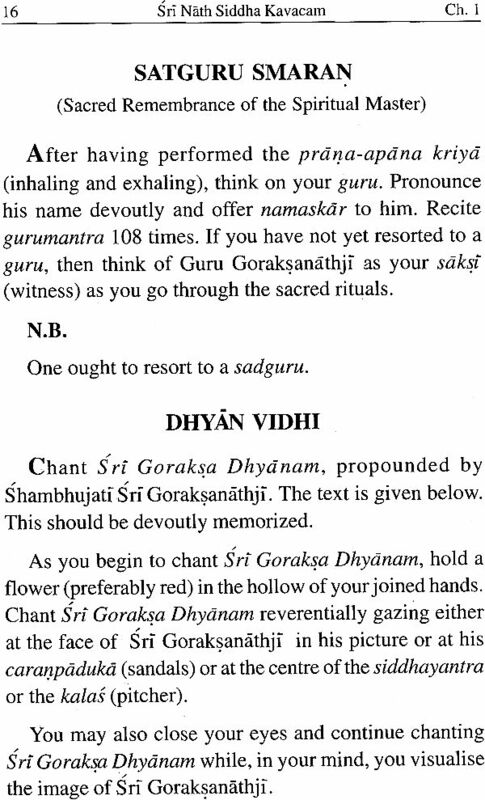 Sri Goraksa Dhydnam will protect and strengthan dhydnayoga. Sri Goraksa Rahasyam will protect and strengthan mantrayoga and Sri Nath Siddha Kavacam will ensure that a suraksa kavac (security-providing charm) is there to protect every limb of the body and also make the mind and senses disciplined, divine-oriented and divinely protected. 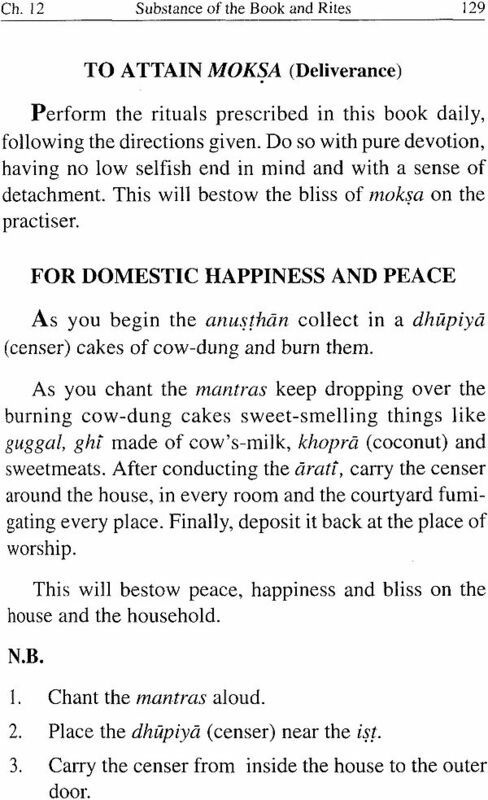 The sadhak will be brimming with auspicious confidence, energy, pure devotion, meaningful dispassion (in regard to the worldly affairs and the enjoyment through the physical body) and will enjoy freedom from the fear of the sorrows of the world. 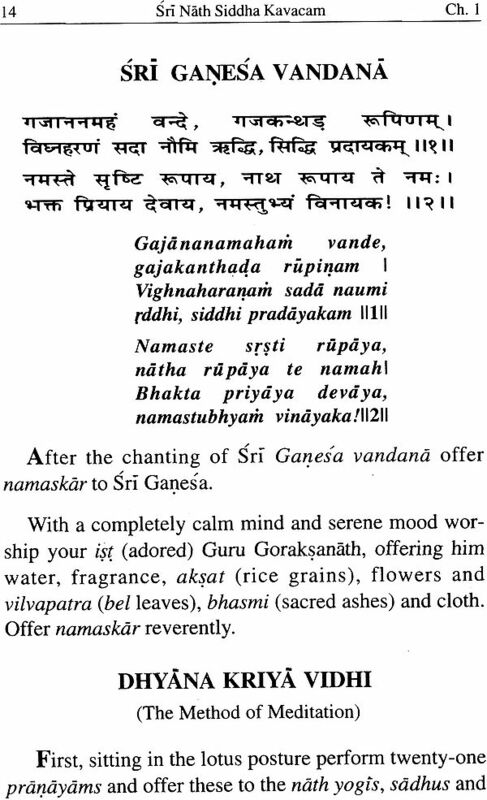 Sri Goraksa Suktam sings the eternal glory of Guru Goraksanathji. 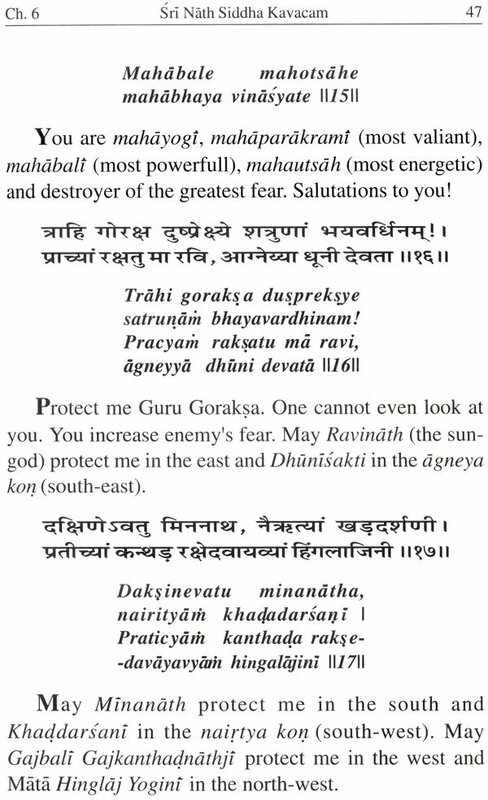 Recitation of this stuti will please Goraksanathji and he will surely bless the sadhak. 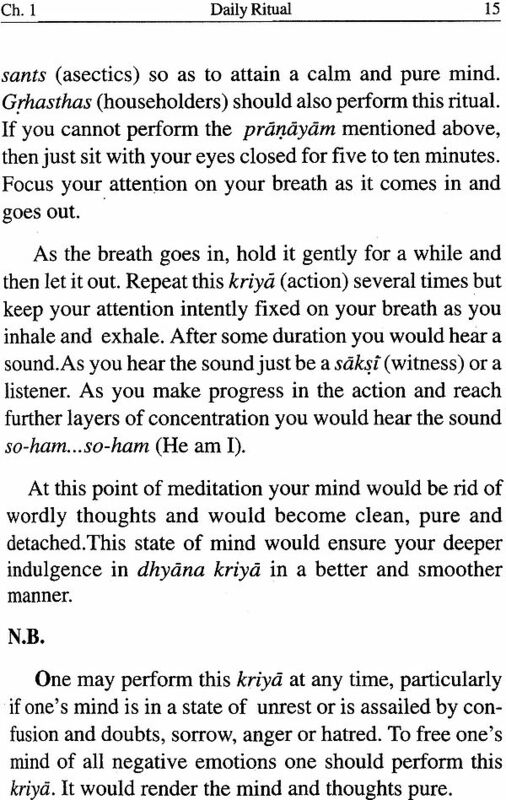 Singing of the bhajans and the arati will certainly create undiminishing devotion. 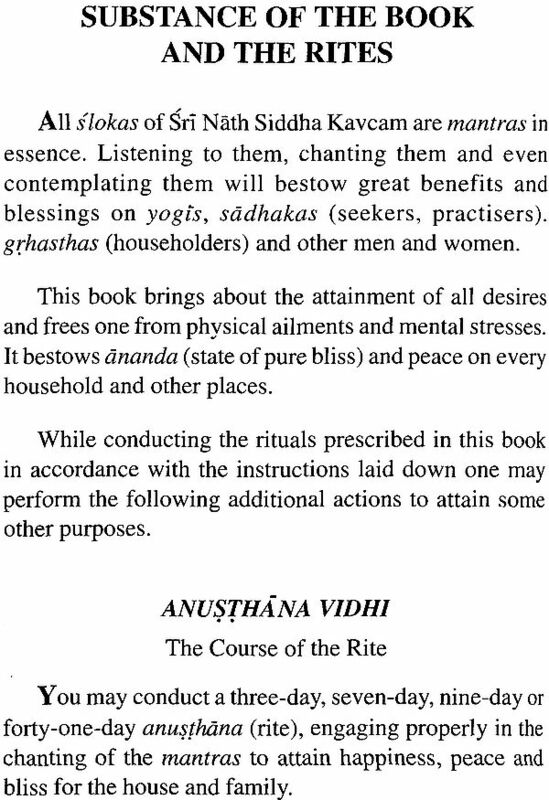 The ritual recitation of Sri Nath Siddha Kavacam will be- stow on you physical and mental peace, prosperity and progress. Daily recitation will invest you with divine insight leading to moksa. 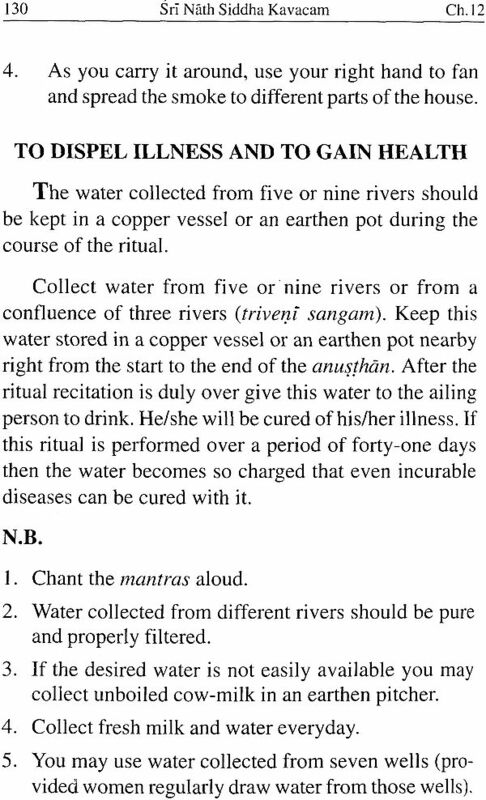 Sri Nath Siddha Kavacam is for the welfare of mankind. 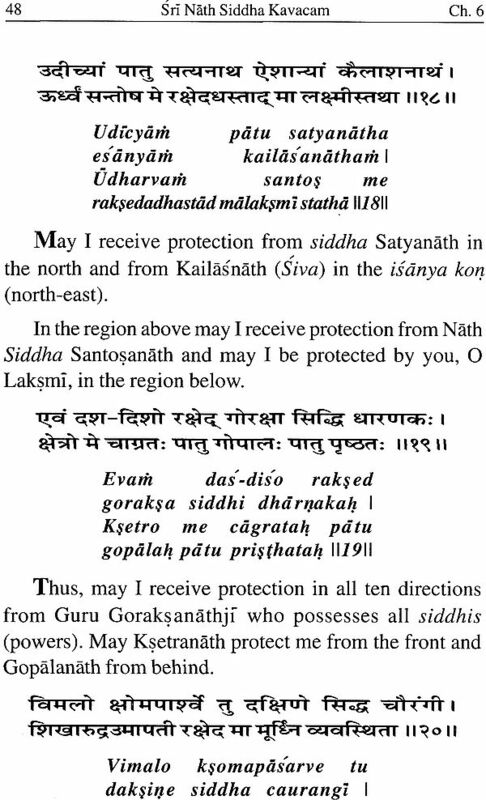 My prayer is - May this be an instrument of bringing about the holy union of guru and sisya, bhakta and paramatma. I wish to express my sense of gratitude to those who have extended their sincere co-operation to ensure the publication of this book. I especially thank Yogi Rakesh Nathji, Yogi Pramod Nathji, Yogi Moti Nathji and all the naths, siddhas, yogisvars of the nath sampradaya.